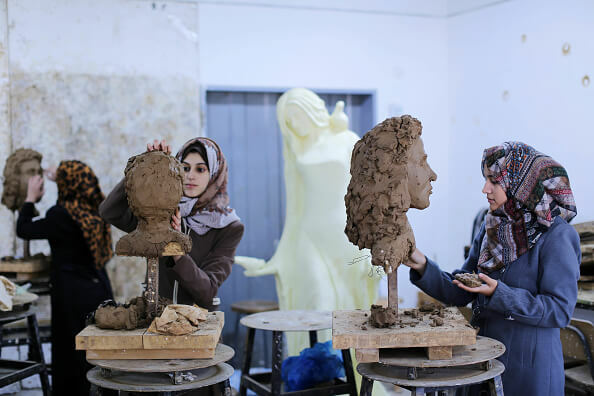 Palestinian students at Al-Aqsa University work on clay sculpture (Photo by NurPhoto via Getty Images). This article describes the results of an extensive Al-Fanar Media survey that examines how Arab countries regulate the quality of higher-education institutions. More than twenty researchers, reporters, and editors across the region participated in the survey’s development. This effort is ongoing; we will add information for other countries as it is collected and follow up to see how existing laws and regulations are enforced. “Quality control and standards are still on paper in Egypt and most Arab countries,” said Gaber Nassar, the former president of Cairo University. Clickable Map of Survey ResultsIn more than half of the Arab countries surveyed, getting a license for a new university requires submitting detailed documents. Such documents might include blueprints of buildings, proof of investment capital, C.V.s of administrators and professors, outlines of academic programs, and sometimes even landscaping plans. The final decision for licensing often rises to the level of the president’s cabinet. In Egypt and Syria, new university licenses require a presidential decree. In some countries, such as Somalia, little regulation of the sector exists at all, despite the rapid growth of private education. Only five out of the 17 countries surveyed have a follow-up mechanism in place to monitor quality once a university has been established. (The five countries are Jordan, Bahrain, the United Arab Emirates, Morocco and Yemen.) A commission in the United Arab Emirates is charged with checking every five years to see if a higher education institution is in compliance with the mission and program for which it was licensed. In Lebanon, a government-appointed committee checks institutions three years after they have been licensed, but before they award degrees. A student takes the university entrance exam in Yemen (Getty Images). But generally in Arab countries quality assurance is a one-stop process. “There is great strictness in the process of licensing universities, but once the licenses are granted, the follow-up process becomes weak if not zero,” said Mohammed Aldasht, the vice president for academic affairs at the Polytechnic University in Palestine. The dedication of university administrators to providing a quality education is all that can be relied on once a university is open. Some officials say that a major weakness of the quality-control agencies that do exist in Arab states is that they are under central government control. “Our direct subordination to the Ministry of Higher Education makes us one hundred percent restricted and unable to carry out our tasks,” said Hamadi Attia, the head of Tunisia’s National Committee for Evaluation, Quality Assurance, and Accreditation. Hussein Boujra, General Secretary of the University of Higher Education in Tunisia, agrees with Attia. “Since the days of the ousted president Ben Ali and so far, the quality-control committees are still weak and run according to political rather than academic agendas,” he said. While officials say that government financing of quality-assurance agencies might be necessary, they need to be politically independent. The Arabian Gulf University, in Bahrain (Photo by Giuseppe Masci/AGF/UIG via Getty Images). The Al-Fanar Media survey also found that many Arab countries lack laws or regulations that prevent conflicts of interest in higher education. International standards recommend that those involved in licensing or regulating private education should not have investments in private higher-education institutions; this is the standard in any industry. Likewise the passing of exams or the awarding of degrees should not be susceptible to bribes or political influence. But Arab laws and regulations do not generally clearly block such situations, and when they do, enforcement is often lax, and educational authorities lack the power to overrule political leaders, sectarian influences, and family connections. Despite the weakness of quality assurance in Arab countries, sometimes government agencies have gotten tough and closed down poorly performing universities. 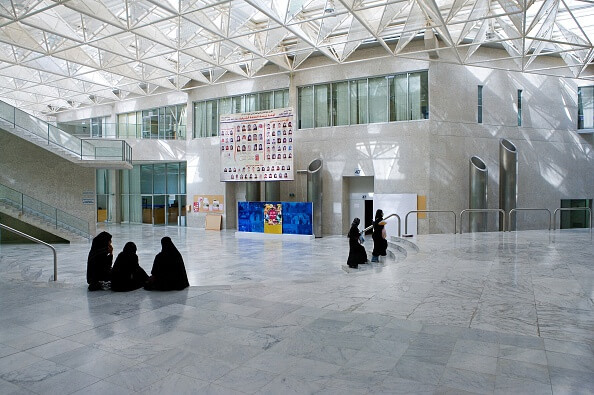 In Bahrain, the government shut down Delmon University for Science & Technology in 2013. Students and parents repeatedly complained that students who had not done their academic work were being given degrees. The country’s Secretary General of the Higher Education Council tried to investigate the situation, but the university refused to hand over paper or electronic records. So the Secretary General closed the university permanently for “harming the reputation of education in Bahrain” and “damaging the students’ interests and future,” among other charges. In Jordan, the Higher Education Accreditation Commission decided in 2016 to stop the Hashemite University’s Faculty of Medicine from admitting new students, saying the faculty did not have enough faculty members for the students it had admitted. The university assigned a new dean with the approval of the commission and recruited more faculty members before the commission let the medical school admit more students. Jordan has committees that track universities’ adherence to quality standards, which is essential to maintaining educational quality and attracting foreign students, said Ahmed Mansour, director of quality assurance at Jordan’s Higher Education Accreditation Commission. While military conflicts have an obvious negative impact on educational institutions, some countries try to maintain quality even in the midst of war. Last year, Yemen’s ministry of higher education completely shut down 12 private universities and 49 programs of study in private universities, in part for violating the ministry’s licensing and accreditation requirements. In February, academics specializing in quality assurance from 14 Arab countries discussed the topic at the seventh International Conference on Higher Education Quality Assurance, in Assiut, Egypt. The majority of those attending the conference acknowledged the weakness of quality assurance in the region. “At higher education faculties in Egypt’s public universities, we find the quality on paper only, where the formal reports presented often have nothing to do with what is actually happening in universities,” said Mohammed Issa, a professor at Ain Shams University. 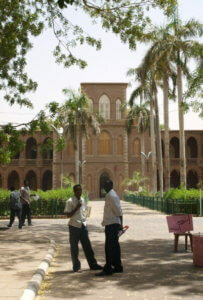 Sudanese students on the campus of the University of Khartoum (Photo by Simon Martelli/AFP/GettyImages). According to Issa, Egypt—the Arab world’s most populous country and a popular destination for foreign students from the region—has 25 public universities with 400 affiliated faculties, or departments and institutes. Of those affiliated entities, he said, only 94 are accredited. Cairo University ranked first, with 14 of its faculties accredited by the national commission, followed by the University of Assiut with nine accredited faculties. Out of the 23 private universities in the country, the American University in Cairo is the only one that is accredited, he said. Yohansen Eid, president of Egypt’s National Authority for Quality Assurance and Accreditation, which is affiliated with the office of the prime minister, believes that the role of the authority is to determine what educational quality is, according to a number of internationally recognized standards. But she said that universities also need to accept some responsibility for keeping education up to those standards and training administrators in self-evaluation of the institution. “In Egypt, the Authority does not have any supervisory or monitoring role, and we are working to help universities improve the quality of their services,” she said. But she stressed that the Authority is able to withdraw the accreditation of any university that does not comply with the authority’s standards. In Sudan, universities are not interested in getting accreditation as a serious, in-depth process, says Alawiyah Hassan Abdullah, an assistant professor at Al-Neelain University. She said the majority of the universities’ administrators are preoccupied with admitting as many students as possible, to get the tuition they pay. A long-term goal that some quality-assurance experts suggest is more uniformity cross Arab countries. “Arab universities do not recognize the degrees of their counterparts from other Arab countries,” said Mohammed Ali al-Dau, a professor of educational psychology at the University of Bakhtalruda in Sudan. If unified standards could be agreed on, he said, it could be possible for Arab universities to accept each other’s degrees more quickly and for students to move more easily from one institution to the other. The majority of the regulatory bodies on education quality in the countries included in the Al-Fanar Media study confirmed the existence of plans to develop or strengthen the monitoring and supervisory system. But there is often no clear strategy to execute such plans. Some suggest the drive to improve national quality standards should come from the bottom up—from universities themselves—and not from the top down. The following correspondents contributed to this work: Tarek Abd El-Galil for Egypt and Libya; Asma’ Jawabreh for Palestine; Tasneem Mohammed for Sudan; Khaoula Sliti for Tunisia; Mokhtar Al Ibrahim for Syria; Eman Kamel for Qatar; Samar Qaed for Yemen; Islam Alzeny for Bahrain; Toufik Bougaada for Algeria; Gilgamesh Nabeel for Turkey; Saba Abu Farha for Jordan; Aisha Algayar for Kuwait; Habib Battah for Lebanon; Melanie Swan for the United Arab Emirates; Ibtissame Berrado for Morocco; Doreen Ajiambo and Ameen Auwalii for Somalia.